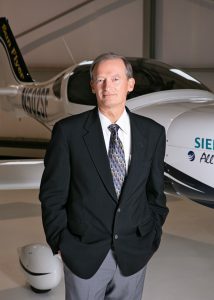 DENVER, Colo. – March 12, 2019 – Bye Aerospace, the developer of the eFlyer (formerly Sun Flyer) family of electric aircraft, announced that, following venture capital funding from SUBARU-SBI Innovation Fund in November 2018, it has expanded its engineering and operations departments to a larger hangar on Centennial Airport. In addition, the company continues to grow and has more than doubled its number of employees over the past 12 months. 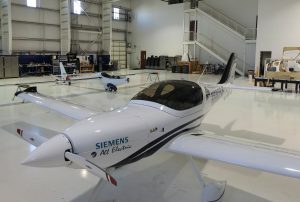 The new hangar, located on the southeast side of Centennial Airport, is capable of housing the eFlyer and StratoAirNet proof-of-concept prototypes, with additional space for assembling future conforming prototypes. In addition, the facility houses the engineering and operations team for the eFlyer program. 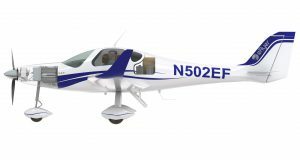 The 2-seat eFlyer 2 is undergoing an ambitious flight test and certification program, aiming to be the first FAA Part 23-certified electric training airplane in the world. 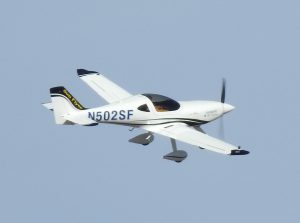 Bye said the eFlyer prototype with the current Siemens motor has completed a dozen successful flight tests, validating predicted flight efficiency and energy use since its initial flight a few weeks ago.